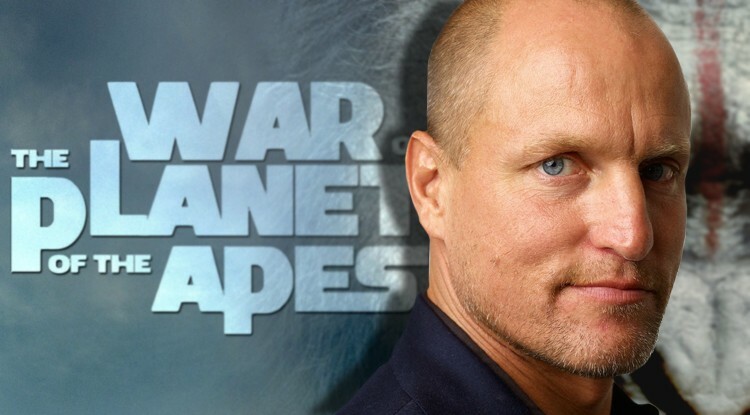 According to a new report from The Hollywood Reporter, actor Woody Harrelson has been cast as the new villain in 20th Century Fox’s third installment of The Planet of the Apes franchise dubbed War of the Planet of the Apes. Not much is known about the role, other than the name of the character, Colonel, and the fact that it will be a starring role. The actor, known for his role in The Hunger Games films, is currently, “undergoing a resurgence” thanks to his role in True Detective. The film is titled War of the Planet of the Apes which suggests that there will be a potentially violent conflict to capture fans’ attention, one that Harrelson’s character will surely be involved in. The only detail available about the film notes that it will, “continue the story of Caesar, the evolved ape who is brought to life via motion capture”. Director Matt Reeves will return for the film, as well as writer Mark Bomback, and producer Dylan Clark. Shooting is said to begin this fall in Vancouver, and the film is currently set for release in 2017.